Birth injuries are tragic and often avoidable. When doctors injure a child during birth, the damage done at an early age can have a negative impact on that baby’s maturation into adulthood. An injury such as brachial plexus palsy, for instance, can lead to many challenges even if a child undergoes early treatment. Our team of Scranton, PA medical malpractice lawyers would like to consider the nature of brachial plexus palsy and what treatments can help children who suffer from the condition. The brachial plexus is a network of nerves that are locates in the neck and the shoulder area. These nerves help with movement and sensation in your arms. 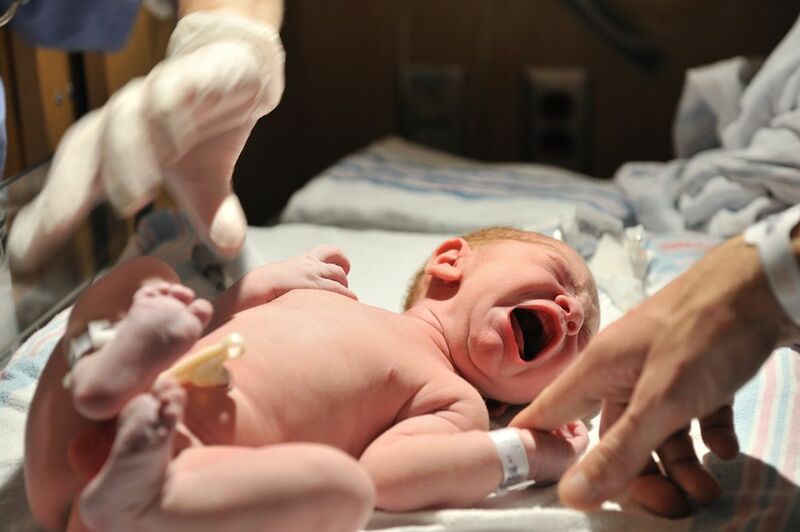 When these nerves are severely stretched during childbirth, they may be damaged. These kinds of injuries lead to difficulties with arm strength and general use of the arms. The condition is also known as Erg’s Palsy. It’s estimated that only 1 percent of children born in the United States will experience brachial plexus palsy. If your child suffers from brachial plexus palsy, he or she may face a number of challenges as they mature. If these injuries are not addressed soon, your child could have difficulty moving and using his or her arms. This affects simple tasks, such as reaching for and holding objects. Your child may face additional challenges with writing and using certain common tools if proper treatment isn’t sought soon after diagnosis. The most common first step in treating brachial plexus injuries in children is physical therapy. These medical treatments involve stretching and strengthening exercises that help restore range of motion and full use to the affected arm/arms. Many children will require 3 to 4 months of physical therapy, though more severe injuries will need longer for treatment. Hydrotherapy is a common variant on traditional physical therapy for infants. Performing physical therapy in water can help reduce the stress on the child’s body and joints. This aids in the treatment process by encouraging movement and minimizing pain and discomfort. Surgery is generally only done when no other treatments are viable or prove effective. These procedures will often involve repairing the nerves of the brachial plexus. Some surgeries seek to reduce the pressure exerted on the brachial plexus by surrounding structures. During a consultation with a pediatric care specialist, parents can learn more about the proper surgical procedure for their child. During a birth injury lawsuit, parents can seek both punitive damages and compensatory damages. Punitive damages are intended to punish the negligent doctors and medical professionals who caused or contributed to the brachial plexus injury. Compensatory damages will cover the financial and material losses associated with the injury, which includes the cost of physical therapy and medical treatment for your child. For more information about your legal rights and options following the injury of your baby, be sure to contact our team of attorneys today. The legal team at Foley Law Firm is here to provide you with expert legal counsel.